Over the weekend our junior golfers have been busy. 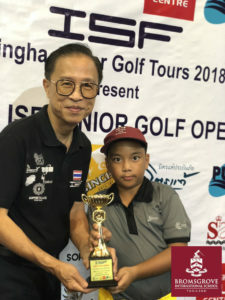 Pro in year 5 participated in the ISF Junior Golf Open 2018 (stage 4) at Prime City Golf Country Club. He showed great resilience and finished in 3rd place in the class D boys (U11). We are extremely proud of his achievements. 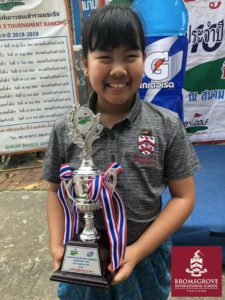 Also, Bun Bun in year.6 participated in a Par 3 Golf tournament at Par3 Srinakarin Golf club. Bun Bun showed great determination and came 1st, as the winner, in the class D girls (U11) tournament. Well done Bun Bun – what a fantastic win!